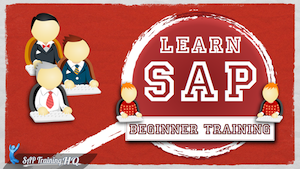 Send an email to support@saptraininghq.com. By using email I can spend more time to answer your questions and may be make more videos to help answer your questions. 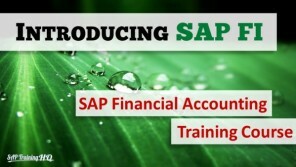 How can I get access to an SAP system? 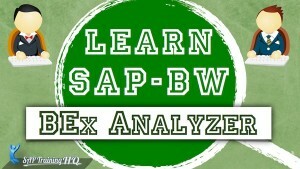 Go to the SCN downloads page, then select the SAP Netweaver Main Release page – http://www.sdn.sap.com/irj/scn/nw-downloads. From there you have various options depending on your own PC. 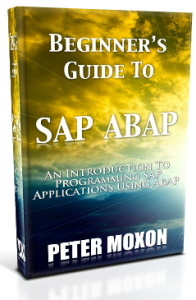 The latest and greatest release for now is the ‘SAP NetWeaver AS ABAP 7.03 SP04 64-bit Trial’ version http://www.sdn.sap.com/irj/scn/downloads?rid=/library/uuid/30a6dbb2-a774-2e10-ee83-9f6432973545 but just make sure your system can cope (eg. Windows 7 Pro). An alternative is to use a 3rd party IDES system. I will not make any recommendations as I have not used any of these systems but one company I have heard good things about is wftcloud.com. 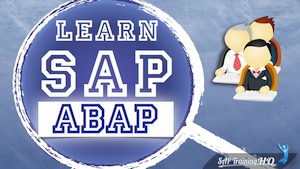 I can not create programs, tables, data elements or domain on my SAP system. The system tells me I need to enter a developer key. What should I do? Your system administrator should be able to provide you with a developer key. These keys are generated by the system admins and given to developers. They are both system & client specific. If you download one of the trial systems from the SAP website, they already come with a development key so you should be able to start developing right away. If your developer key runs out, go to this website www.sap.com/minisap to request an new license key (free).